We usually transfer books (ePub, PDF ) and photos to iPod touch after you brought new iPod touch 4 and with it you can view books and photo at high resolution and best retina display. Maybe you know iTunes can do this process and help you sync all books and photo to iPod touch. But badly all previous files on iPod touch will be deleted, so how to backup and remain the original files. 3herosoft iPod to Computer Transfer will be the best one to transfer ePub, PDF, Photo to iPod library. How to transfer ePub, PDF, Photo to iPod library? 3herosoft iPod to Computer Transfer software is a good choice that enables you to transfer ePub/PDF/Photo to iPod/iPad/iPhone after you upgrade your iOS devices to latest iOS 5. You will find that this iPod Transfer program, much faster and easier than iTunes, transfer ePub, PDF, Photo to iPod library without lost any quality. Launch this iPod transfer software and connect your iPod to your computer. Then you can see your iPod on the desktop -- an iPod icon with your iPod's name under it. Then familiarize yourself with its interface. All information about your iPod, such as type, capacity, version, serial number, and format, will be shown on the main interface. On the top menu, click the "Add Files to iPod/iPhone" button to transfer ePub/PDF/Photo to iPod library. There will be a pop-up dialog box ejected on interface. 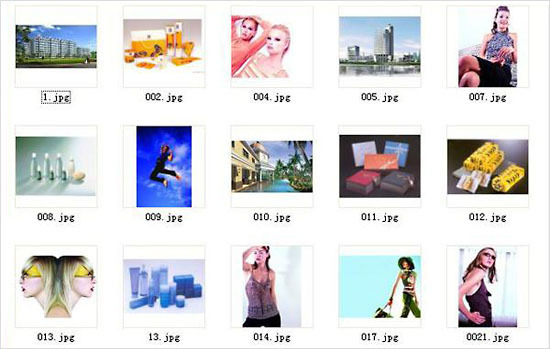 Select certain files (books, photo) on computer and check them . 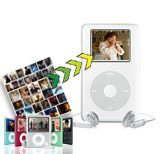 If you want to add all the files in a folder, please click the "Add folder to iPod/iPhone" button and then locate the folder on your computer and transfer the whole folder to iPod. After it is done, then press the "Open" button in the dialogbox. After that, the selected ePub/PDF/Photo are transferred to iPod library! With this step, you can also transfer music, video, podcast, etc. from Computer to iPod library without using iTunes, drag and drop files into iPod library, much quicker than iTunes software. Well done, it's so easy and simple to transfer ePub/PDF/Photo to iPod touch with the help of 3herosoft iPod to Computer Transfer software. Also it can easily backup ePub/PDF/photos to computer for backup, or sync them to iTunes library.